During warmups, Dirk, a player for the Dallas Mavericks, believed the rim on the goal to be slightly off from where it should be all because he felt that he was missing too many jumpsots. Upon close inspection, it was discovered that the rim was in fact off of where it should be. This got me thinking, how many shots a day does one have to take to be able to realize the subtle nuance of a rim slightly off center. While I am not sure, I can only imagine that it would be a lot! 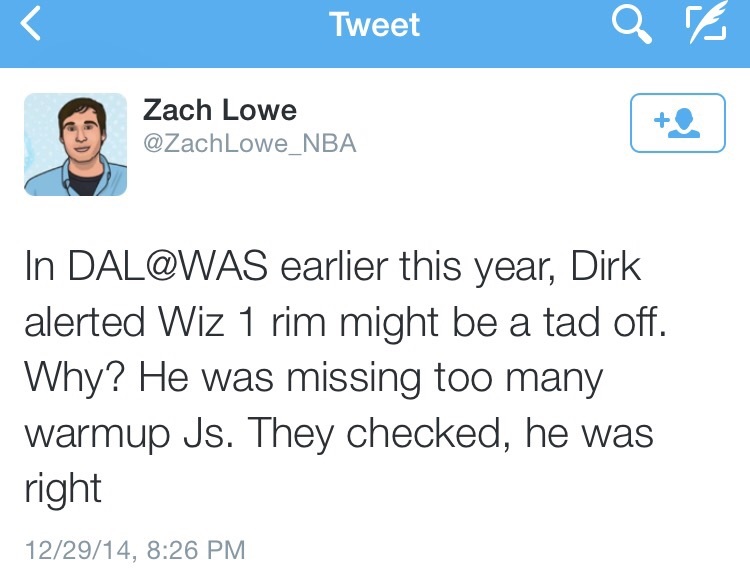 Clearly, Dirk spends a significant amount of time practicing and honing his craft. There are implications for educators and students alike here. As an educator, how much time do you spend practicing and honing your craft? How much time do you spend not just studying but actually practicing the nuances of both reading and writing? It’s one thing to know a lot about reading and writing because you have studied it, but it’s another thing to know about it because you yourself are a reader and writer. Also, our students need the same kind of practice and exposure to the language. They need to physically feel the movement of the pen as it scrawls across the page. They also need the repetitive practice from reading story after story, book by book. 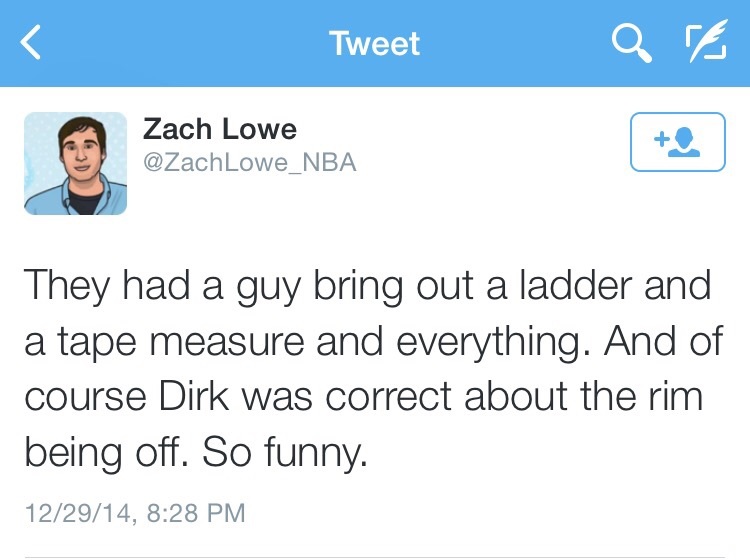 Dirk knew about the rim because of the countless hours he spends shooting. What about you? What about your students? How are you perfecting your craft and how are you creating opportunities for your students to do the same? This is a great analogy and makes a great point for reflection. Hours and hours and hours of reading help hone writing skills through hearing/reading what sounds right!